Remember when the world thought that smoking cigarettes was healthy? Or what about the time ‘Supersize Me’ changed everything you ever thought you knew about McDonald’s? It’s no surprise that there has been a monumental and continual shift towards healthier living. 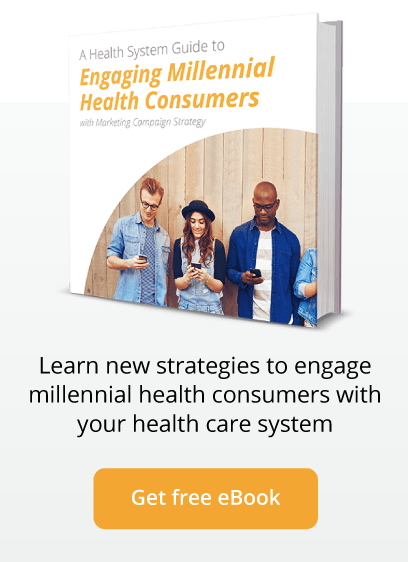 From tailor-made nutrition to wellness beyond the gym and #selfcare, consumers of all ages are placing more value on their health — convenient, easy-to-understand, and personalized health. And this has big implications for healthcare marketing. This shift in focus is catching the spotlight this Heart Month, especially as the sobering realities of heart health in America make their way into minds of the wellness-focused consumer. If you haven’t already heard, someone in the U.S. has a heart attack every 34 seconds — and approximately every minute, someone dies from one. Not to mention that heart disease is still the number one killer of Americans. Strikingly though, almost all of these conditions — and the complications associated with them — are easily preventable by staying proactive about heart health. Consumers are taking these truths to heart — brands and marketers are too. With over 40% of consumers reporting that the information they find on social media affects the way they deal with their health (MediaBistro), “healthcare professionals [and those setting healthcare marketing strategy] have an obligation to create educational content to be shared across social to help accurately inform consumers about health-related issues and outshine misleading information.” And according to Pew Internet & American Life Project’s Mobile Health survey, 19% of smartphone owners have at least one health app on their phone. Exercise, diet, and weight apps are the most popular type. It’s true — self-care is the new healthcare. And using food and tech as medicine can help people avoid medicine — especially when it comes to staying heart healthy. But what does it all mean for brands? How are they leveraging the trend? They’re wearing their hearts on their sleeves — or, rather, their wrists. Recently, Apple’s CEO, Tim Cook, told the world about a new plan for the brand ensuring that “the company’s greatest contribution to humanity would be considered to be about health.” It all started with the debut of the HealthKit platform and Health app, which debuted alongside the first Apple Watch. 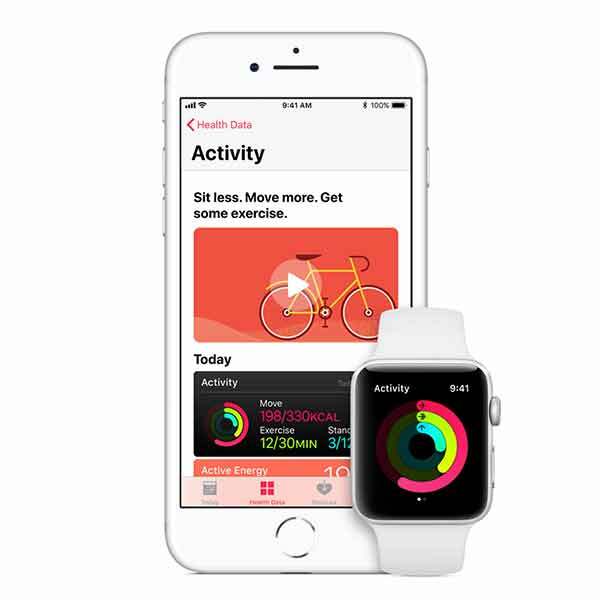 “One of the earliest significant moves in the [digital health direction] came with Apple’s exploration of how its Watch could be used to monitor heart conditions, including working with Stanford’s Medical School to enable the wearable to identify people with atrial fibrillation,” Jo Best of ZDNet writes. The research drove the launch of a new feature found in the watchOS 5.12, Apple’s version of an ECG. The tool uses sensors to actively and passively monitor its users’ hearts to potentially help identify heart problems — a strong step towards preventing conditions like atrial fibrillation before they cause serious harm. But Apple hasn’t stopped there — the launch of CareKit and HealthKit both reflect the breadth of the brand’s expanding digital health strategy. 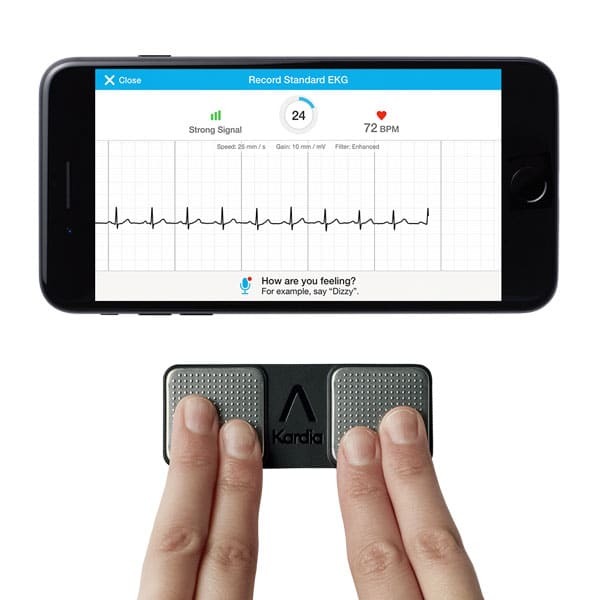 These platforms can be used by both patients and healthcare providers, allowing users to do things like take blood pressure readings to track hypertension or monitor moods to see if medications work and then provide this data back to physicians — further assisting in proper diagnosis and treatment for these conditions. But Apple isn’t the only pioneer in heart-forward wearables. This January, Omron healthcare launched the first wearable blood pressure monitor and EKG, to advance its mission of Going for Zero™ heart attacks and strokes. HeartGuide™ is a sleek and stylish device that works just like blood pressure cuffs at the doctor’s office do — only the HeartGuide uses an inflatable cuff within the watch, not just sensors for blood pressure estimates. And with HeartGuide’s corresponding mobile app, HeartAdvisor™, users can understand their condition on a more intimate level to build a more productive patient-to-patient dialogue and gain access to real-time heart health coaching to act on their heart healthy numbers. Individualized, strategic, meaning. If you’re a healthcare marketer, you know these terms well. And you probably know about the digitization of healthcare and the spread of communication technologies to foster the notion of “borderless health,” as The Medical Futurist calls it. These things are all about the proliferation of healthcare wearables, websites, and mobile applications that are allowing patients to have more significant insights into their medical records and health management. Beyond heart health, brands are helping patients AND healthcare providers stay proactive about other aspects of the healthcare journey — from apps reminding people undergoing surgeries to participate in exercises useful in recovery to helping people stay on track with medications, and even the integration of electronic medical records like Cerner and Epic into handheld apps. While there will always be tools for digital solutions that advise the marketing community — the vital thing to remember is how to use them efficiently. Do you know where to start? Reach out to our healthcare marketing agency Trajectory. Erin Schroeter is a Content Strategist/Copywriter at Trajectory. With a passion for all things social/digital, Erin puts big ideas into little sentences and uses her words to connect people to one another. As a Boston University alumni who has worked in Advertising all around the world (most recently London), she's written for various music publications, managed social media programs and collaborated on creative strategies. When she isn't totally engulfed in creative brainstorms, Erin practices yoga and paints.